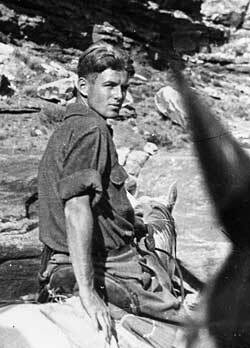 The name Eddie McKee has long been synonymous with science at Grand Canyon National Park. As the park’s first official naturalist, McKee helped research and catalog the diverse flora and fauna during a career that spanned decades. He also was among the first to systematically study the complicated geologic history of the Grand Canyon. On October 19th, author and geologist Sarah Andrews will pay homage to the life and career of this iconic figure during her presentation “Eddie McKee: A Grand Life.” This free public event will take place at 7:00 p.m. at the Shrine of the Ages, and will appropriately cap an action-packed Earth Science Week. Follow this link for information on the McKee presentation and the other festivities.